Last weekend was the date for Mark and Judy to tie the knot at Lisle Combe, St Lawrence nr Ventnor. It was a lovely sunny day and Lisle Combe is perfect for a smaller wedding. It is still a family home, which gives it a very friendly atmosphere, whilst having views to die for and access to a small beach for those special photographs. Judy made a lovely entrance coming down the main staircase to meet Mark, and then walking up the aisle together to the Barbara Streisand version of ‘Evergreen’. A special request for ‘The Watermill’ was played during the signing of the register. This is normally played on Oboe, but fits really well on Soprano Saxophone too. After the ceremony, came the photographs, and the lawns and house provided a beautiful backdrop for these. The wedding breakfast was accompanied by background music, with me playing out on the veranda and the music drifting in through the open patio doors. The evening entertainment was provide by an island band called the ‘Tea and Biscuit Boys’. They are a skiffle band that are absolutely great to see and hear live. I was lucky enough to be asked to join in for the first dance with them. I would certainly recommend them for any event or going to see at a local festival if you can. It was lovely to be asked to be part of Judy and Marks special day, as they, and loads of their friends and family came and had a chat with me and made me feel very welcome, with loads of positive comments about the music too. Also a big thank you to Ruth and Robert Noyes who own Lisle Combe who also made me feel welcome in their home. All in all, a lovely day was had by one and all. There will be 50 stands for you to come and have a look at and talk to. I will be one of them and would love to chat to you about the music for your special day. I can play for the Ceremony. Drinks receptions, Wedding Breakfast or almost anything else you can think of. Ps the Botanical Gardens does a lovely slice of cake to go with your Coffee! I am in the middle of putting together a mini musical tour from the 15th to the 18th of February 2018. Confirmed gigs are at the Isle of Wight Leonard Cheshire home, The Gouldings Care Home in Freshwater and Byrnhill Grove Care Home in Ventnor, and I am awaiting confirmation of a possible fourth gig. This is one of my favourite type of gigs to play at, lots of singing and joining in and loads of smiling faces. What more could I ask for? If anyone is looking for some musical entertainment over these dates, there is still plenty of space for you, so why not get in touch. first of all just a short update on what has been happening in my world over the last few weeks. The site has been very quiet recently due to me being busy with gigs, rehearsals, students taking their grades etc so my apologies for the lack of articles and pics. I am on holiday at the moment, in the glorious Isle of Wight, so this is a good opportunity to do some catching up. This is the view from my window as I type. Lots of articles to follow over the next couple of days, so please keep an eye out for them. 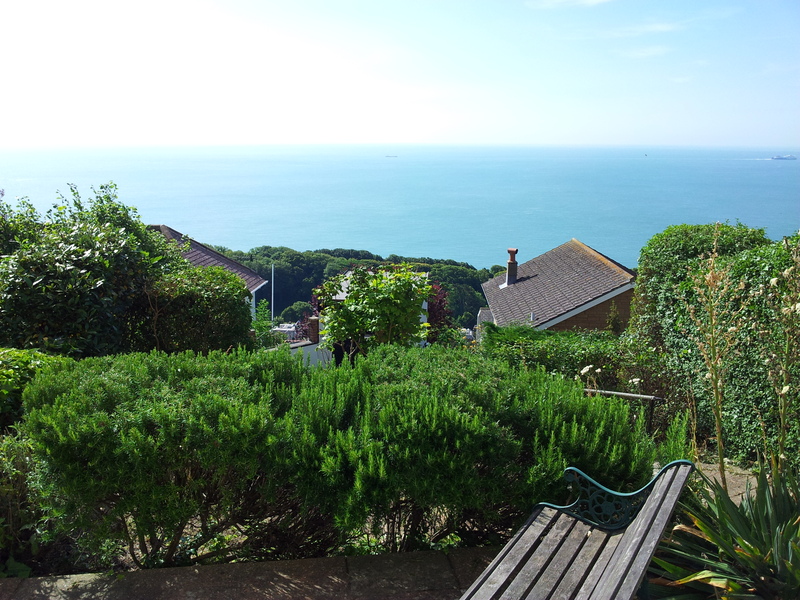 View from our front garden, Ventnor. Thanks to plenty of sunshine over the summer, people have been in a party mood. I have had gigs at a garden party in Blaby, which even though the weather looked a bit suspect, managed to stay dry until about 11pm. It was nice for me because I knew a lot of the people at the party so in between sets Carole and I had a chance to catch up with friends. The second gig was at a dinner party on the Isle of Wight. I always take a sax with me on holiday and try and do a bit of busking. Well this time, whilst busking I was asked to play at a dinner party. 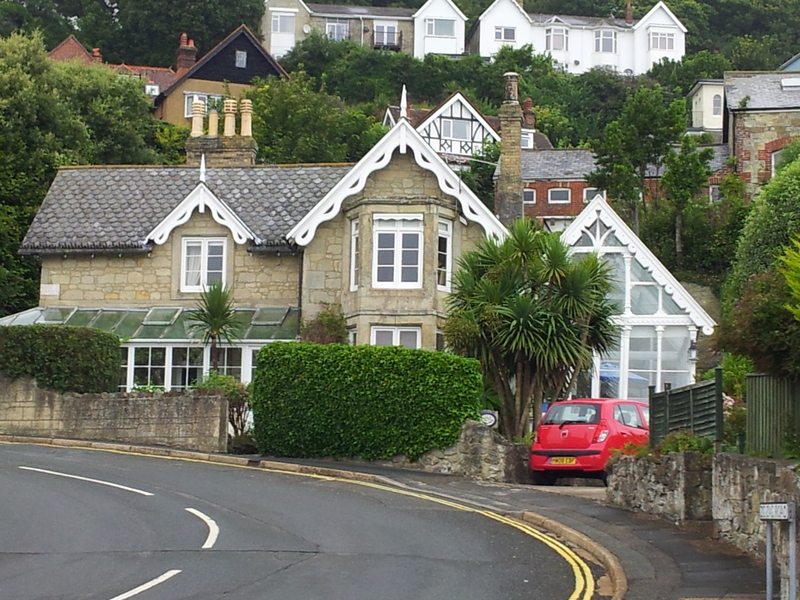 The venue was a lovely house built in 1820 over looking the sea at Ventnor. As you can see from the picture, the house has a large conservatory built at the same time as the house, which is were the party was held. It was a very relaxed and informal affair with only about 8 guests, loads of conversation, some lovely food and dancing. It was something they decided to do at the last minute to celebrate Cowes week. I really enjoyed this type of gig and would love to do more. They have asked me to contact them again if I am on holiday in the Isle of Wight next year so it could become an annual event!